CWL has recently assisted another happy client through the planning process, enabling them to move forward with a luxury five unit housing development in rural Essex. As you can see from our drone and measured surveys below, the plot is a modest size at circa 6385qm and is situated centrally within a rural Essex village. Access to the site is made via a private road which runs along side neighbouring properties. As part of the development, an agreement has been made between our client and the owner of a neighbouring plot, allowing for an increase in access width totalling circa 6m. Aside from the increase in access, we have proposed five new luxury four bed homes each with a ground floor foot print of circa 165sqm. All sat on appropriately sized plots, which include garage and drive space for two-three cars. Much consideration was given to the arrangement of the new properties and we feel that the approved layout (below) utilises the space well, while providing privacy and clear access to all properties. As to the units themselves, after consultation with the LPA and our client a ‘traditional’ aesthetic was decided upon, and the following designs were approved. All based on essentially the same internal layout, each unit type incorporates an individual but complimenting facade. As some may have noticed, there is still potential for further development of the available space. Additional units of a similar size could be proposed or even split, and the existing property could potentially be removed to allow for a more densely developed proposal. To illustrate this, we have generated an example layout which incorporates twelve units. To achieve this we utilise both four and two bed detached and terraced homes (please see the design below). Although the twelve unit proposal below has not been officially submitted to the LPA, we are confident that a more densely arranged development would be welcomed if it were to be applied for. 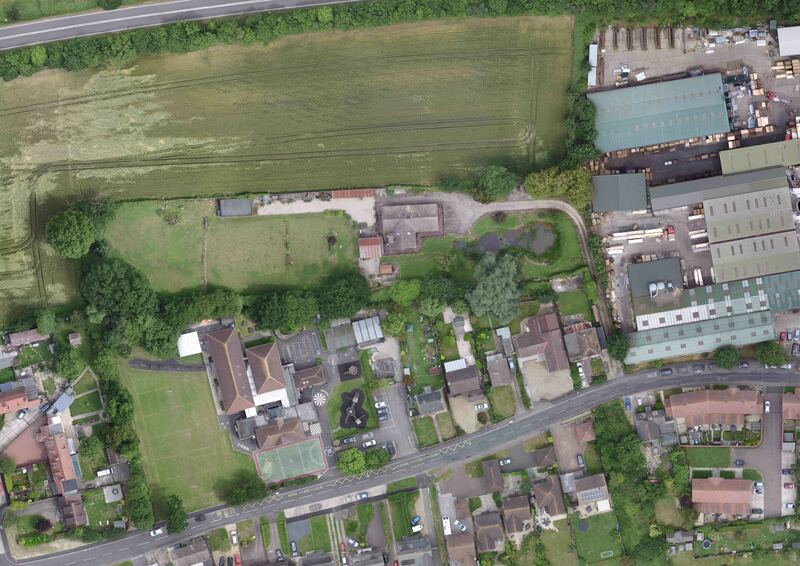 Our client is now looking to sell the plot and property with the planning permissions as they presently stand. Current valuations have the expected sale price in the region of £1.6 million. If you would be interested in purchasing, please feel free to get in touch with us to arrange an introduction. Previous PostSingle Storey Proposal.Next PostA Very Merry Christmas To All!